Living the experience of the Caritas community challenges you. Our Residential Therapeutic Community provides a structured, family environment in which honesty, trust and respect are key. Caritas believes that addiction and other major life problems must be interpreted within a so called multidimensional (Bio-Psycho-Socio- Spiritual) framework. Therefore the Caritas Therapeutic Community addresses your life in its entirety: Your living body (biomedical), the thinking and feeling part (psychological), social skills (or lack thereof), and your spiritual needs. The Caritas program envisions you in all your dignity (human and spiritual) and is structured to serve all-inclusive individual growth. This type of approach to treatment will allow you to facilitate changes in all aspects of your life: a return to a state of fulfilling cooperation with the world around you. In a Therapeutic Community, social interaction between people is the main factor which brings about change. It takes time to “unlearn” the unproductive attitudes, lifestyles, and values and to rebuild a solid foundation for a meaningful recovery. Our experience tells us that five or six months are not enough. We suggest and stress not rushing right back into situations which, in most cases, require better and stronger emotional foundations. The centre is located in Woodbridge (York Region). The facility has meeting rooms, kitchen and dining areas. Clients participate in work turns and group therapy. There are three support group meetings (group therapy) held every day at specific times. Associated with this setting are two homes situated short distances from the main centre in the City of Toronto. Sleeping quarters are in dormitory fashion. You are responsible for the operation of the house you are assigned to. This includes cooking, cleaning and maintenance duties. Group meetings are also held in the homes every evening. Phase 2 of the Caritas Residential program is also known as the ” farm phase” where you live and learn in a therapeutic farm environment. 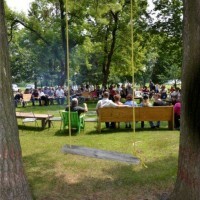 The 90 acre farm and spiritual centre is located approximately 25 minutes north of the centre. It is a quiet peaceful environment where much of your time is spent caring for animals and maintaining the grounds and house. Apart from group meetings, you will participate in spiritual walks and have greater introspective time. Work periods consist of domestic and farm assignments. The farm has livestock and gardens which are a shared responsibility. Healthy lifestyles are more likely due to increased physical activity such as herding, gathering firewood, transplanting and restoring. Planting a tree or working with animals can become a mechanism for connecting with others and teaching functional roles and responsibilities within the community. Any serious process of the revision of Life starts with an awareness free of denial. The first step is to see with humility and truth. This phase usually takes place at the centre in Woodbridge where it is easier to address outside pending issues that you may have at the beginning of your recovery, such as pending legal matters, medical issues, etc. 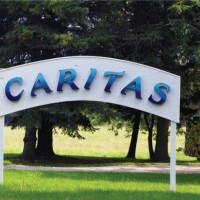 You begin to understand how living in the Caritas Community assists in your recovery process. At this point you will begin to make connections (painful at times) to your own life, setting off the growth process. This phase usually occurs in our farm community environment. Accepting the truth and taking responsibility for it will eventually open the door to the possibility of change. At this stage you are entrusted with responsibilities within the community which include helping and guiding those residents in Phase 1 and 2. “Walking the talk” provides you with an opportunity to practice honesty and consistency. You were once a problem person lost in “SELF” and “ME”. You are maturing, and you can start appreciating the selfless moments of happiness arising from simply helping and caring for others in the community – “WE”. Mistakes are made in approach and judgment which can lead to attitude adjustment and developing and maintaining a sense of balance. During this phase there is an additional focus on re-establishing a relationship with your family. Soon the road back home becomes a teacher. 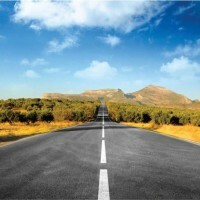 It is about the road and about becoming human. It is about rebuilding your soul in the right environment. It is about bringing together all the important ingredients to a seed so it can grow into a healthy tree.